Lewis Hamilton says Singapore is the toughest race of the season. 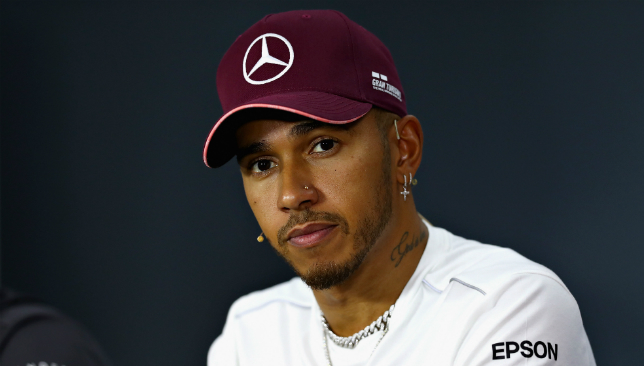 Lewis Hamilton says the Singapore Grand Prix is the toughest race of the season, ahead of a weekend in which he and Mercedes are expected to struggle against Ferrari. The reigning Formula One world champion has a 30-point lead over Ferrari’s Sebastian Vettel, but pundits expect that gap to be narrowed given Mercedes traditionally struggle in the season’s only night race – and Ferrari have been strong there in recent years. Hamilton won an incident-packed race last year, however, and has won in Singapore three times in total. But says the race is a gruelling test of a driver’s skill and stamina. “Physically and mentally, it is the toughest race of the whole season,” the four-time champion said. 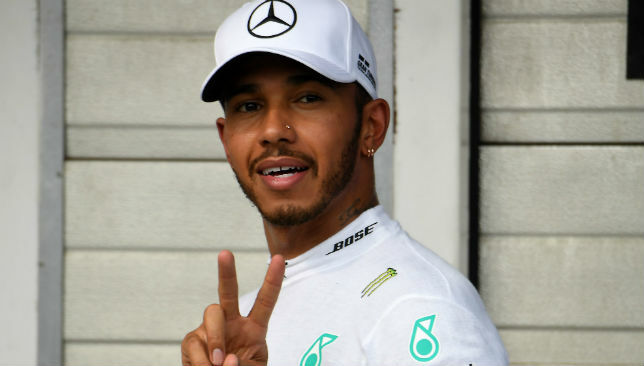 Lewis Hamilton does not think he has put his championship challenge in jeopardy despite clocking up nearly 25,000 miles in just 10 days after launching his new clothing range. Since winning in Italy to move 30 points clear of Sebastian Vettel, Hamilton has spent an incredible 53 hours in the air to promote his debut fashion collection with renowned designer Tommy Hilfiger. First, Hamilton flew from Milan to London, to Shanghai, and then back to London, before travelling to New York where he enjoyed the support of American rap stars, Nicki Minaj, and Travis Scott, and Canadian model Winnie Harlow, as he unveiled his new line. He then left America on Tuesday to embark on a mammoth 21-hour flight to Singapore for this weekend’s race under the floodlights. 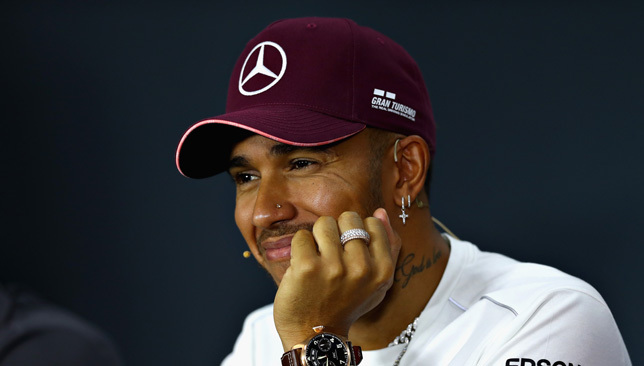 Hamilton’s extra-curricular activities have had little impact on his ability in a Formula One car in recent seasons, winning three of the last four world championships. And although the 33-year-old admitted that his accelerated globe-trotting has taken its toll, he dismissed the notion that it was a gamble to travel the world during the business end of his title fight. “Not at all,” he said. “I have got other things that I am doing, and trying to fit in training over the last week has not been easy. I have travelled more in the last two weeks than I have all-year long. “But from my experience, I have been able to move around even more than I have in the last fortnight, and still switch it on into race mode. There is not a single moment when I am not thinking about and the championship. Hamilton switches from the catwalk to the race track with a healthy title buffer after embarrassing Vettel by sealing a thrilling win on Ferrari’s home turf in Monza. At this stage last season, Hamilton was three points ahead of Vettel, and still clinched the championship with two rounds in his pocket. Indeed, Hamilton can afford to finish second to Vettel at the next four rounds and remain at the top of the pile. The Briton, however, insists he will not adapt his approach as the season reaches its climax. “At the moment there is no reason to change,” he added. “There are a lot of points still available, so the approach is the same here as it has been all year. It seems to be working. Vettel had the superior machinery at Monza but finished only fourth after a clumsy opening-lap collision with Hamilton. It was his fifth mistake of the campaign, but with 175 points still remaining, the German believes all is not lost. “The biggest enemy is me,” Vettel, 31, said. “Lewis is the leader at the moment, he’s the one ahead and he is the one to beat, but we still have a very good chance. Formula 1 heads into a four-week break with Lewis Hamilton racing away from Sebastian Vettel in the driver standings after the former’s comfortable win at the Hungarian Grand Prix. Reigning champion Hamilton now holds a 24-point advantage over the German after the duo finished one and two on Sunday at Hungaroring. Both men spoke to the media after the race.